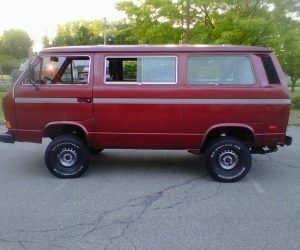 We’ve featured several of Shooftie’s hacks here at VanagonHacks.com, and this is another good one. 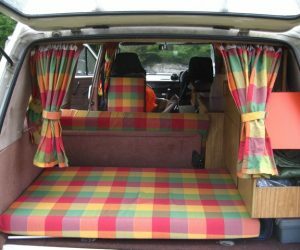 If you haven’t been to the Shooftie Blog, check it out for some very serious Vanagon hacks! 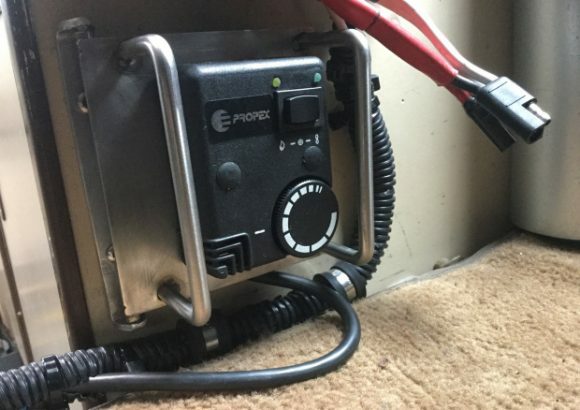 This one is a Propex heater installation in the front of the van. 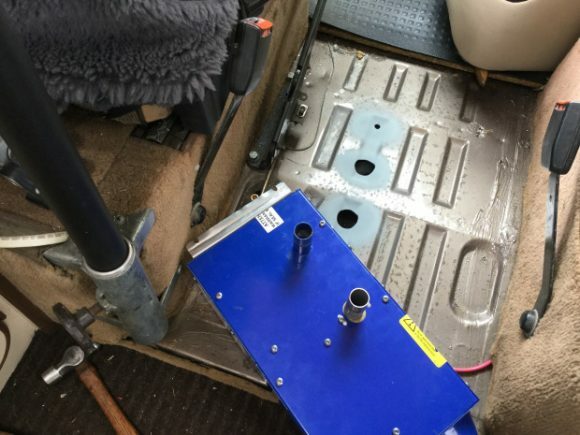 We’ve seen several installations in the rear cabinets, but Shooftie placed his heater inside a center console. Click through for more pics. You can see he drilled some holes in the front area between the seats. 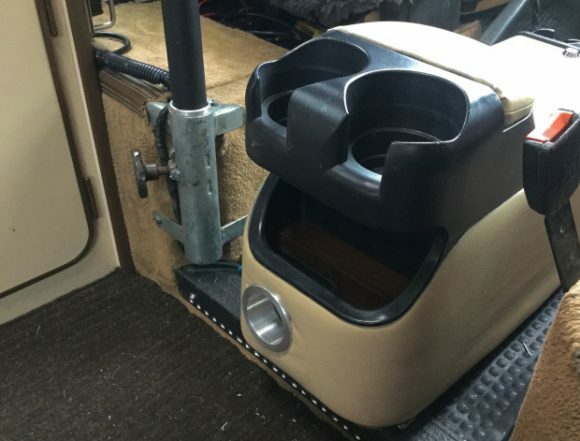 The heater will sit under his console. 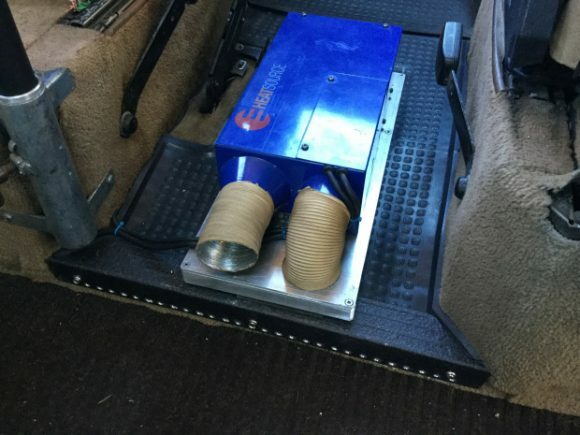 This is the final installation with a vent in the center console. I have this same console. I never dreamed I could fit something so useful in it. The thermostat is off to the side. Nice. Check out the Shooftie Blog for many more pictures of this installation. It’s totally worth checking out!